Home > Special Offers > Sales > Get the 2019 Micra Today! 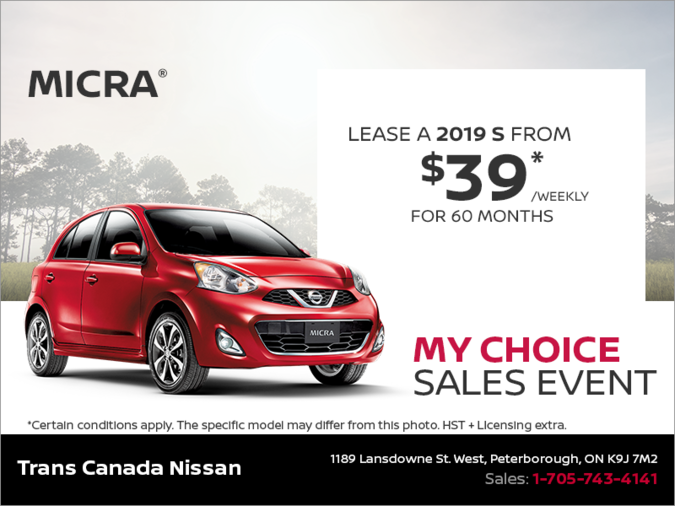 Lease the 2019 Nissan Micra starting from $39 weekly at 5.9% for 60 months with $0 down. 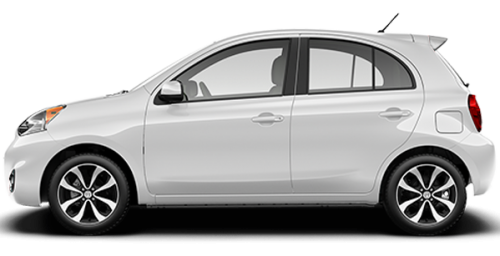 *Representative monthly lease offer based on a new 2019 Micra S at 5.9% lease APR for 60 months equals monthly payments of $166 with $0 down payment, and $0 security deposit. Lease based on a maximum of 20,000 km/year with excess charged at $0.10/km. Total lease obligation is $9,951. Lease Cash of $0 and $750 bonus cash is included in the advertised offer. Freight and PDE charges $1,650 air-conditioning levy ($100), applicable fees, manufacturer’s rebate and dealer participation where applicable. License, registration, insurance and applicable taxes are extra. Vehicles and accessories are for illustration purposes only. See your participating Nissan retailer for complete details. Certain conditions apply. ©2019 Nissan Canada Inc.